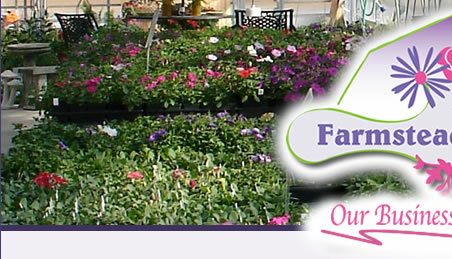 Welcome to Farmstead Flowers we are a family owned business, serving Lancaster co. area with a friendly and warm shopping experience for over 30 years. Our niche' is unique and fun flowers and containers, fairy gardening supplies, and custom designing containers. March 1, we open with spring flowers bursting with color! As well as an excellent selection of tropical house plants, air plants, popular succulents, perennials, fun, unusual and interesting plants and planters to brighten up your home or business.in April we stock up with a huge selection of tropical hibiscus, mandevilla, palms, and hard to find unusual tropical plant varieties. We open March 1 with a full array of pansies, perennials and lots of Easter flowers. 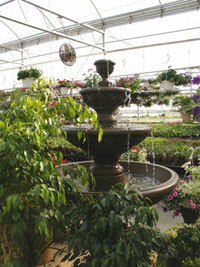 We carry a full line of annuals, perennials, bird, pond and fish supplies. 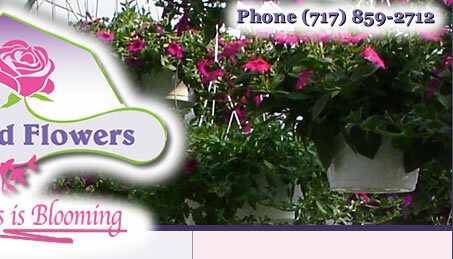 Customized planters and hanging baskets are one of our specialty areas. Bring your own or choose from our large selection, and we’ll customize it for you with the flowers or plants of your choice. Farmstead Flowers Vacation Package includes fertilizing, watering, dead heading, and scouting for any disease or pests on your plants and treat them with your choice organic or pesticide applications, while you enjoy your vacation. 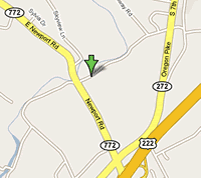 Call or email us for more details or to schedule your vacation plant maintenance.